Statistically speaking the best shooting percentages in basketball come from layups and shots taken in the paint. By implementing a zone defense, teams can pinch-in or pack the paint taking away driving lanes to the rim. Think Luguentz Dort being “pinched” by two or sometimes three defenders in the low post. In one game Lu missed six layups not to mention quite a few resulting offensive fouls over the course of this campaign. I did love seeing Luguentz attacking against the Cougars, he is going to be great! In Pac-12 and NCAA tournament play these past two seasons, long zone defenses have stifled Bobby Hurley’s Sun Devil success. Against Syracuse Coach Jimmy Boeheim’s 2-3 Zone in last year’s NCAA round of 68 play-in game, Bobby’s adjustments were too little, too late for his Sun Devil “Guard U” team. 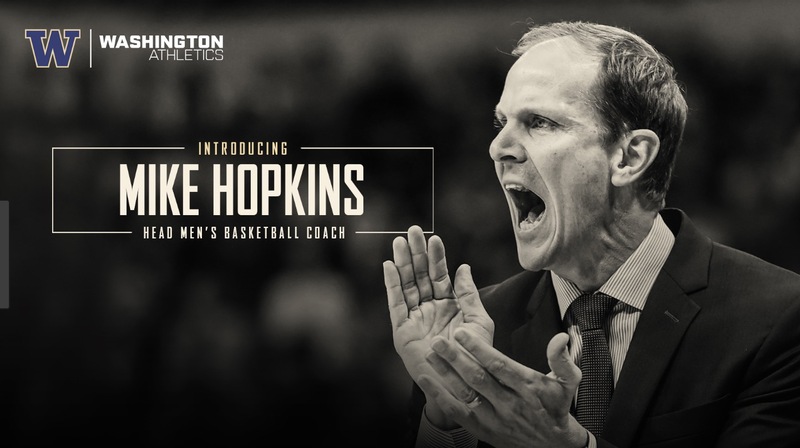 Washington Coach Mike Hopkins learned his 2-3 zone trade as both a player and assistant coach at Syracuse. What is the primary default solution to score against a good zone? The outside shot and that’s exactly what teams want the Arizona State Sun Devils to default to. Just ask Coach Ernie Kent of Washington State. Bobby Hurley’s starters shot 3 – 24 from the three-point mark against the upstart Cougars on Thursday night at The Bank. In the Conference of Champions this season, Arizona State has made 84 of 248 three-point shot attempts. That is 164 total misses often turning into transition opportunities for an opponent. 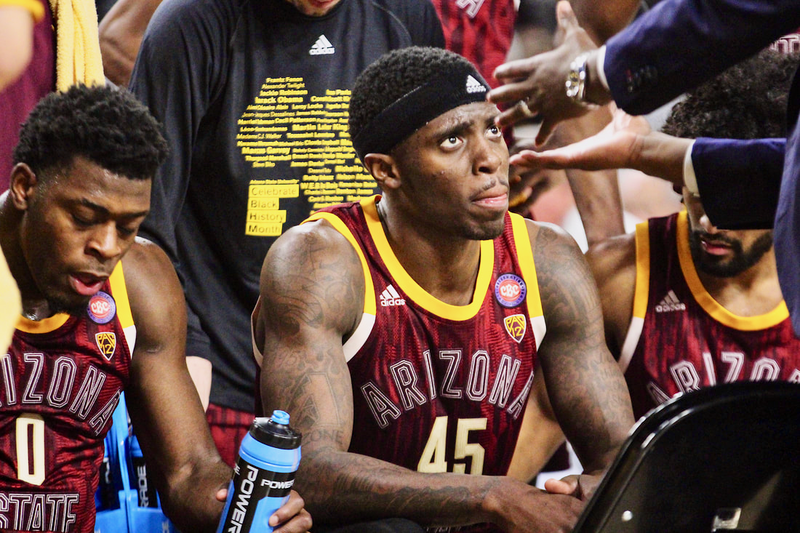 To Arizona State’s credit, they have grabbed 123 offensive boards this season, ranking 2nd in the Pac-12. But Sweet Basketball Jesus, we were throwing bricks at the rim against Wazzu. 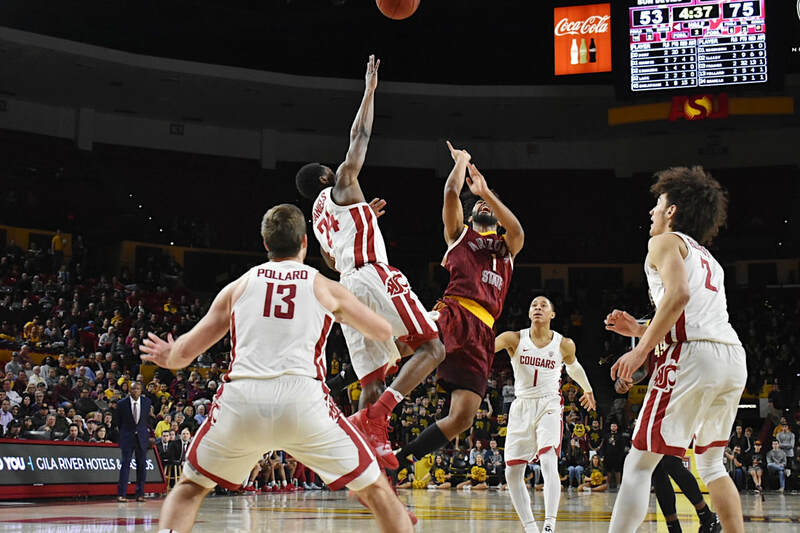 As Hurley’s Sun Devil basketball team sits on a sixteen team bubble to enter March Madness with nine games remaining, it’s important to grasp Arizona State has missed 322 of 482 three-point shot attempts total this season! They have taken 48 more three-point attempts than from inside the arc, and we are not a consistent outside shooting squad. Great coaches who employ a disciplined zone will alter looks and defensive points of emphasis, often confusing the opponent’s ball handlers. Sometimes I feel as if Bobby is so busy working the referee’s he forgets a young Dort and Remy Martin might need him to call out the defense or a strategic play! For example, let’s go back to last season and look at Kodi Justice or Shannon Evans when they were hot. Zone Defenses were beginning their attack with toes at the 22’ mark. This exposed gaps in the middle of the defense which the Sun Devils struggled offensively to exploit. This year we have a much improved Romello “The Big Fundamental” White and a monster in Zylan “Yes Sir” Cheatham who can roam in “the trenches” between the low and high post. Against Washington State, Cheatham and White combined for a grand total of eight shot attempts and two assists in 58 minutes of playing time between them. That is a glaring sign something is wrong with any Pac-12 offense, but it is consistently happening with the free-for-all attack of our Sun Devils. To put it simply, a “skip pass” is made from one side of the court to the other “skipping” other offensive players along the arc or adjacent to you. It is designed to catch the defense flooding one side of the court who are not worried about backside long distance shooting. When a well-coached defensive team is over-playing the ball side successfully, it makes it even more difficult for the offensive team to find gaps to penetrate. Arizona State does not consistently penetrate the middle of the zone. Instead, they often run around pounding the rock obsessively with no direct purpose! To destroy a zone defense doesn’t require rigid structure. It requires great ball movement and deliberate screens and cutting. 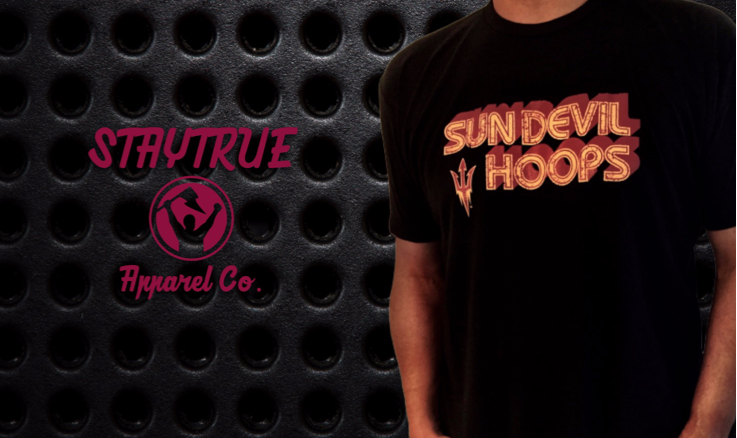 If a DieHard Sun Devil fan knows this, you can bet opposing coaches’ prey upon it. But with proper spacing, reversing the offense via skip pass, it is vitally important to keep opposing defenses honest. 3) Sound Geometric Positioning – The Triangle of Attack! Soccer and Basketball among other sports, both use sound Junior High-level Geometry on attack. The Triangle Offense itself was a Pac-12 Conference creation when Coach Sam Berry (1930-41, 1946-50) at the University of Southern California applied the principles of angles and space to his team. Tex Winter at Kansas State sharpened the core philosophies, and Phil Jackson applied them to 11 NBA Championship Rings between the Lakers and Bulls. But think Barcelona or any good soccer team working the ball around with quick precision passes back and forth until the defense is caught out of position. They even make pinpoint passes from sideline to sideline when a defense is cheating too far to one side. A good soccer team “skip passes” with their feet just as a good basketball team should do with two hands on the ball and over the head. If Remy “no look” Martin employed this strategy, it would erase the majority of his turnovers in my opinion. The takeaway here is you don’t see Lionel Messi forcing his way through two or three defenders. All great strikers let the game come to them, picking and choosing their back-cuts. 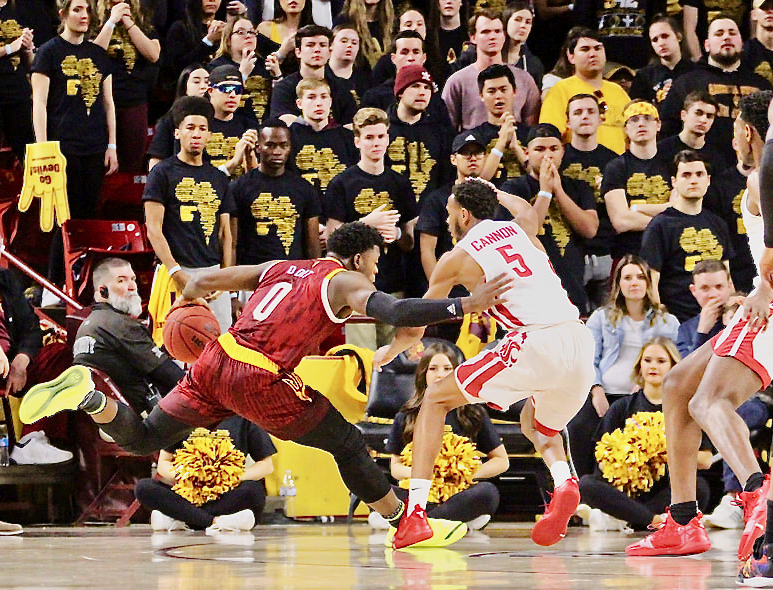 You’ll often hear me suggesting Arizona State’s guards are not letting the game come to them, and the turnovers and bad shot selection is the obvious result. The University of Washington Huskies come to Tempe Saturday Night. Coach Mike Hopkins, who played at Syracuse under the 2-3 zone Hall-of-Famer Jimmy Boeheim, is a purist. The Washington Huskies are the only team in the Pac-12 relying solely on a zone defense. Saturday Night at The Bank is a must win game! We need every quality win after being embarrassed by Washington State! Bobby needs to space his guards out 18-20 feet or more depending on where the point of attack is. The Triangle approach is simply to create a “sideline” triangle with three players on one side of the floor, and a guard and a power forward or center on the other side. The big man can go anywhere between the low and high post, exploiting that portion of the defensive positioning. The center can also set back screens for his attacking guards or the shooting guard on the weak side. The guard can and should extend out beyond the opposite three-point mark usually working space between the baseline and fifteen-foot mark along the sideline. Essentially a good offensive set attacks open spaces on the floor which creates new passing lanes or angles of attack. Quick ball movement can free up shooting guards for sound, squared up catch-and-shoot opportunities. It can also completely exploit back-cuts to the rim. Using a combination of skip passes and shorter quicker passes or dribble attacks will also help fatigue a zone defense. Ball side post screens between White, Cheatham, Lake and even Luguentz Dort would provide some attacking angles to the rim and open up some easy 10’ to 12’ jumpers. The art of the pull-up jumper is lost in today’s game but is potent against the 2-3 zone. 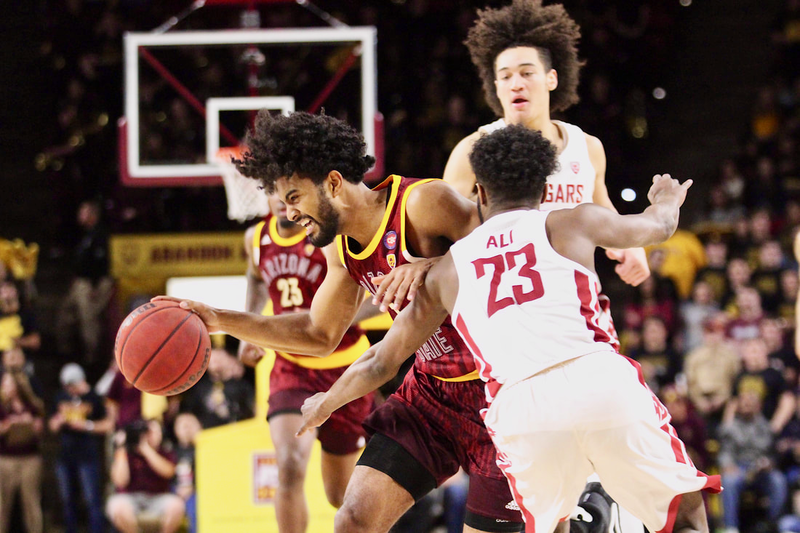 If we run the Bobby Hurley High School or Junior High school motion – dribble-around offense, Arizona State will need streaky Remy Martin to pull off another 31-point performance to beat the Huskies tonight! ASU needs to methodically dismantle Mike Hopkins’ Zone, and it can be more “amoeba” in nature. Remember Jerry Tarkanian’s Zones at UNLV? 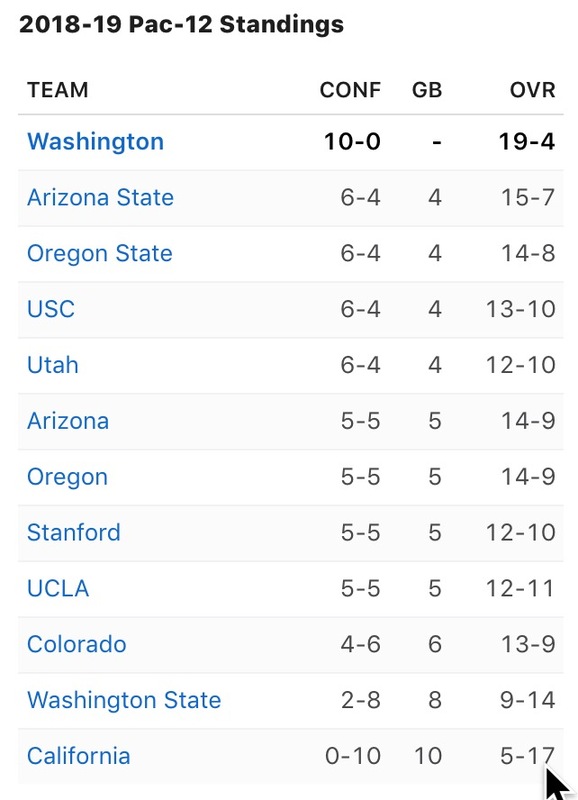 Shaking my head, my gut instinct suggests Arizona State can beat Washington. They can run with anyone in the country on a given night. But I am wary of the Jekyll and Hyde nature of Bobby’s teams against competitive Pac-12 coaches. ASU plus one tells me the Sun Devils win by four or five, not the other way around. My guess is 71 – 64, Devils. Let’s do this.